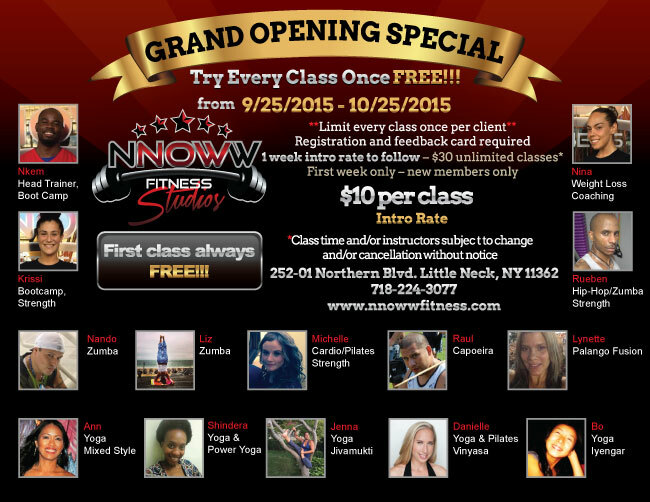 NNOWW Fitness Studios Grand Opening! 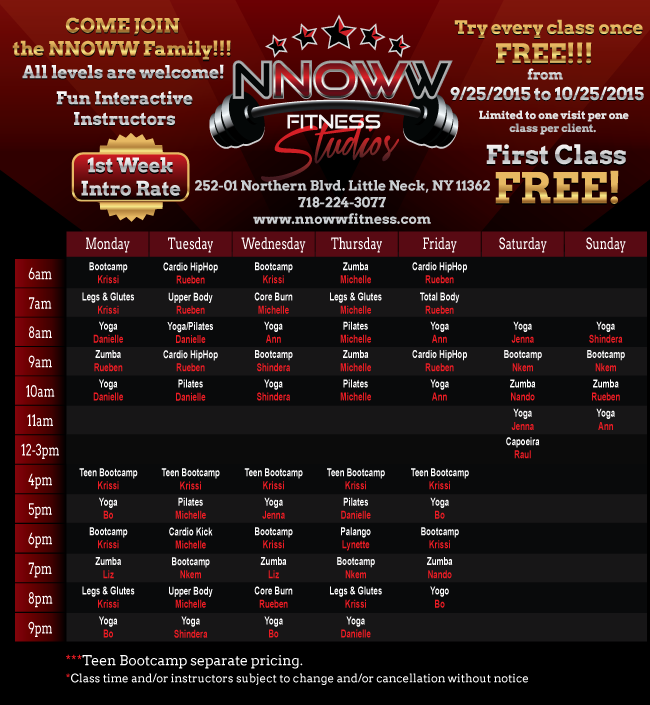 ALL CLASSES/INSTRUCTORS SUBJECT TO CHANGE AND/OR CANCELLATION WITHOUT NOTICE. ALL PURCHASED CLASSES & PACKAGE PRICE RATES WILL BE HONORED. 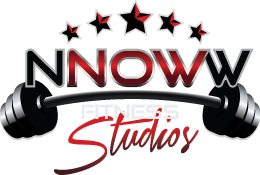 NNOWW Fitness is a combination of group fitness classes upstairs and a completely exclusive personal training studio downstairs, both conveniently located on Northern Blvd (25A) in Little Neck, NY (North Eastern Queens, NYC). We offer intimate one on one, two on one and small group personal training sessions, allowing our clients to select from a variety of privacy settings while always avoiding the crowded impersonal feel of your traditional high traffic health clubs and gyms.